The management of the University of Port Harcourt (UNIPORT) invites suitably qualified candidates to its basic studies programme admission for the 2018/2019 academic session. 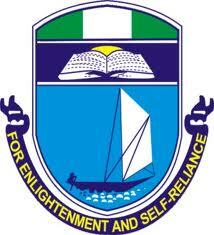 UNIPORT Basic Studies Programme Area of Study and Admission Requirements. Candidates should possess WASSC/SSCE/NECO/NABTEB Ordinary Level with credit passes in at least 5 relevant subjects. See Table below for further details. English Language, Mathematics, Physics, Chemistry and any one of Biology, Geography, Economics. English Language, Physics, Mathematics, Chemistry and Biology. • Forestry & Wildlife Mgt. English Language, Mathematics, Chemistry, Biology or Agric. Science or any one of Physics, Geography or Economics. English Language, Chemistry, Biology or Agric. COURSE DURATION: The Programme is for a period of one year (one academic session). How to Apply for UNIPORT Basic Studies Admission. Application is online, Logon to www.uniport.edu.ng and follow the instructions; a fee of Fifteen Thousand Naira (N15, 000.00), excluding Bank charges is required. Payment can be made at designated Banks nationwide. The names on candidates’ O’ Level Certificates must be the same as what is filled online. Any false information given automatically disqualifies the applicant. Deadline: Sunday 25th November, 2018. UNIPORT Basic Studies Supplementary Admission Screening Exercise. The Screening Test will be Computer-Based and shall be conducted on Tuesday 27th November, 2018. NOTE: All candidates who did not submit their scores or failed to turn up for the examination held on 9th October 2018 are encouraged to sit for the suplementary examination scheduled for Tuesday 27th November, 2018.